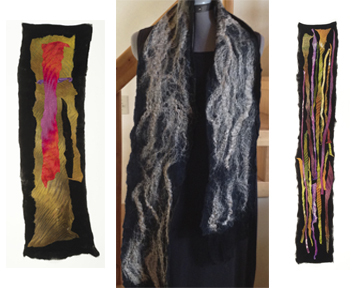 Using the FeltLOOM you will create felted fabric for home decor or art to wear. All skill levels are welcome no matter which workshop you choose. Create your own fabric on the FeltLOOM for advanced students. Workshop fee includes supplies for one shawl or poncho.